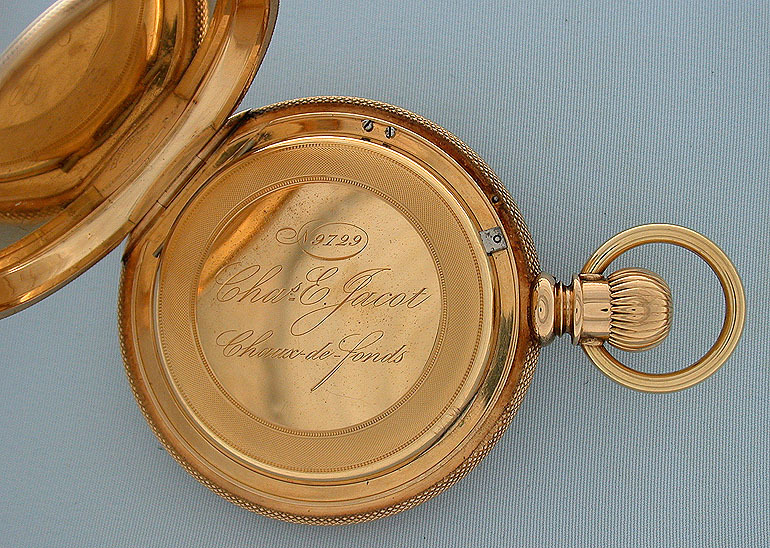 Fine Charles Jacot Swiss 18K gold stemwind back set antique pocket watch circa 1875. 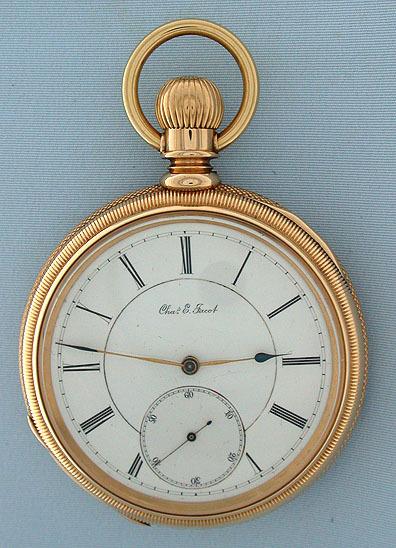 Fine double sunk white enamel dial with two tone gold and blued steel hands. 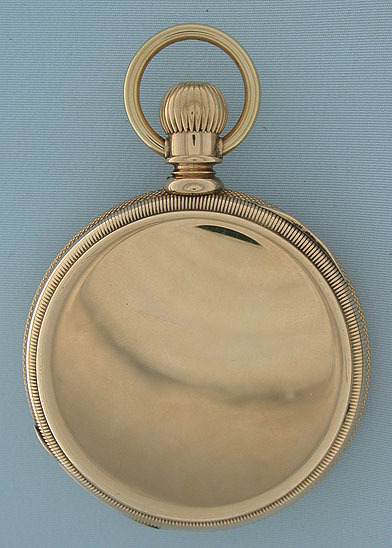 Heavy plain polish case with setting under the back cover. 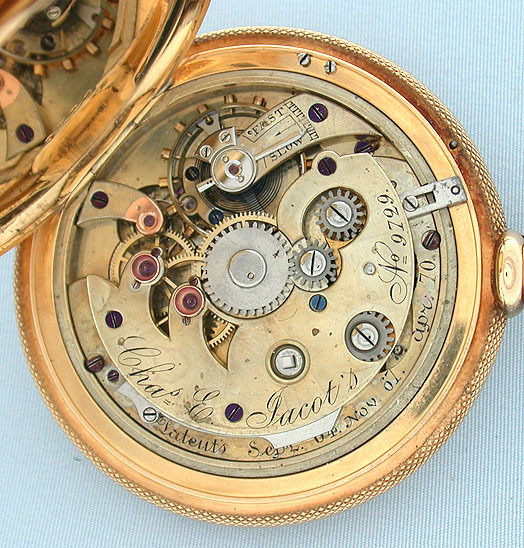 Nickel high grade 17 jewel movement engraved with many of Jacot's patents.